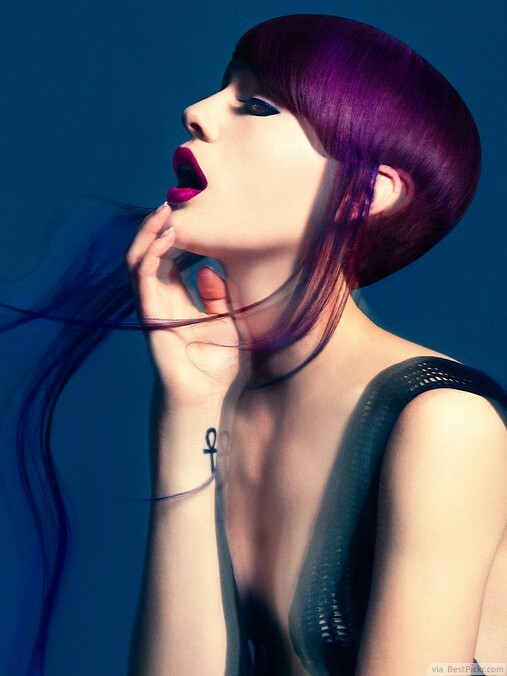 This is an ultra-sleek pixie cut infused with a rich violet color. The dog ears (longer pieces in front of your ear) are a popular feature in punk-subculture hairstyles. They are extra-long here for a dramatic take on the Chelsea haircut. It versatile because you can use smoothing serum for a sleek look like this, or use some texturizing paste and tousle it to your liking for an edgier style.